Today is the Feast of the Epiphany, also known as Twelfth Night, Three Kings Day, and the Twelfth Day of Christmas. The word Epiphany comes from Greek and means to reveal or show. It celebrates the arrival of the Wise Men in Bethlehem, and symbolizes the revealing of Jesus to the world. These days, Twelfth Night cake is served at big parties. It contains a dry bean or trinket, and whoever receives this in their slice is designated king or queen of the party. At my house, we’re short on trinkets and revelers, but still well-stocked with cranberries. Celebrating with cranberry muffins seems perfect. This recipe isn’t as sweet as some cranberry muffins, containing just 1/3 cup of honey. The original recipe called for cranberries or whole cranberry sauce, the latter of which contains sweetener. 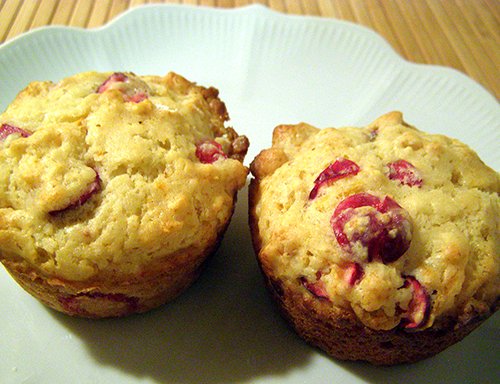 I used coarsely chopped cranberries and coated them with 2 tbsp. evaporated cane juice (raw sugar). 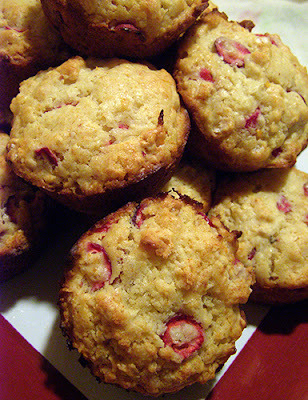 This created an intentionally not-too-sweet muffin to enjoy at the end of a sweet-laden holiday season. If you prefer, you can add another ¼ - ½ cup of sugar to the dry ingredients, or serve the muffins with additional honey and butter. As always with muffins, don’t mix the wet and dry ingredients together thoroughly, or your muffins will be tough and not rise well. 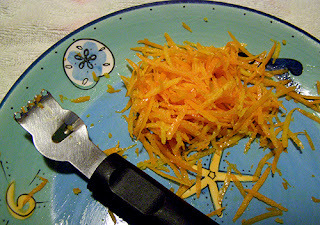 Instead, stir the wet and dry ingredients together partially with a rubber scraper with a few strokes, then add the cranberries and orange peel. Finally, stir the batter until fruit is more or less evenly distributed but batter is still lumpy. Happy Epiphany to All! Wishing you all the best in this New Year. Preheat oven to 400 degrees F. Grease a muffin pan (for a dozen muffins) with butter. 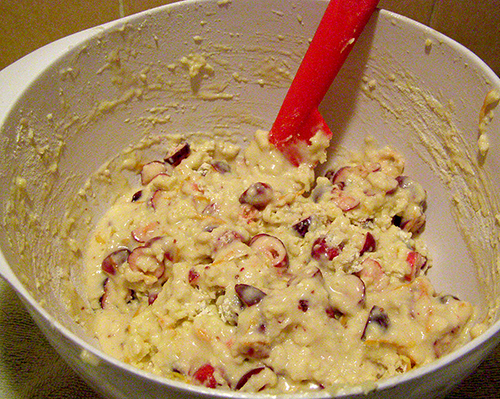 Toss chopped cranberries with ¼ cup raw sugar and set aside. If honey is cold, warm in the microwave. Blending is easiest if it seems slightly warm to the touch. In large bowl, cream the butter. Add honey and cream together. Beat in egg. When well blended, beat in milk. Set wet ingredients aside. In medium bowl, whisk together flour, baking powder, and salt, along with additional sugar if using. Set dry ingredients aside. 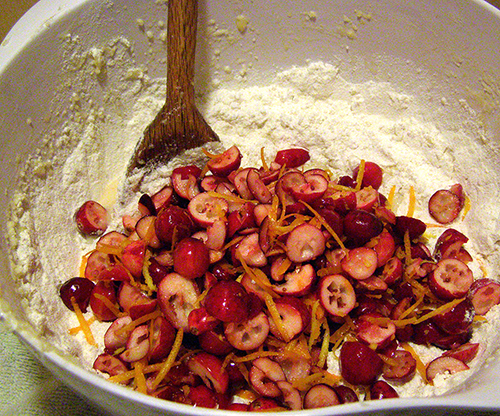 Toss orange zest with sugared cranberries. Add dry ingredients to wet ingredients. Stir a few times up from the bottom with a rubber scraper. Add fruit. Mix lightly with scraper until fruit is distributed evenly but batter is still lumpy. 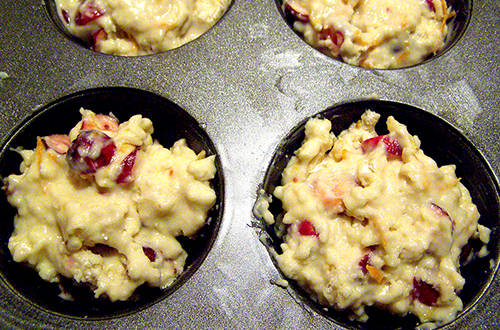 Spoon into prepared muffin pan, filling cups evenly. 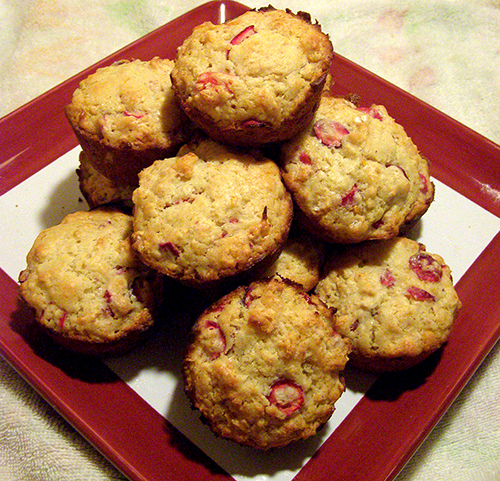 Don’t flatten out the muffins or press them into the cups. Bake in preheated oven for 15 or 20 minutes, until golden brown and risen. Remove to cooling racks as soon as possible when cool enough to handle. Serve with butter and/or honey if desired.